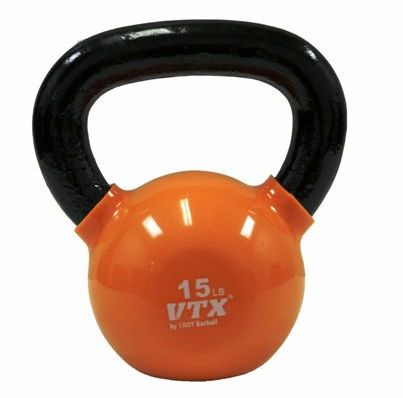 Our VTX Kettle Bells are considered one the best values in the industry, bar none. With a larger, ergonomically rounded handle, it is perfectly suited for single or dual hand core body movements. A quality, baked enamel finish creates less friction when changing hand positions on transitional lifts. Our handle design securely attaches to the body of the bell, making it structurally sound enough to withstand the most rigorous workouts. A 1 year warranty against breakage gives each user peace of mind. Our vinyl coated bells are a welcome addition to any workout setting. Brilliant colors help to define and identify each size. 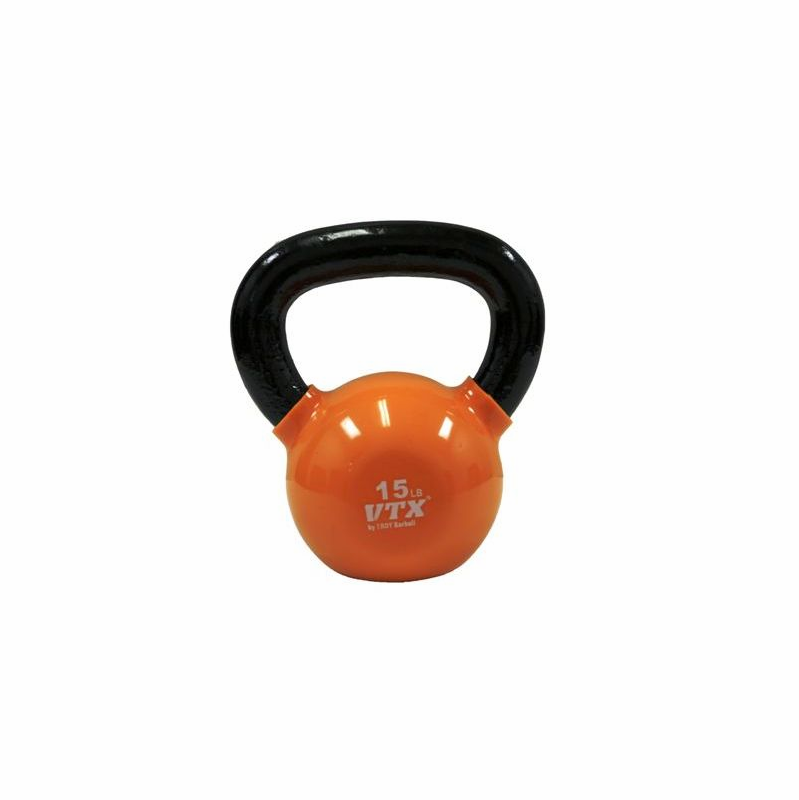 Intended to increase strength, agility, endurance and balance, our colorful VTX vinyl coated kettlebells will give you a total body workout.